OWARI SATSUMA - This is a superior fruit of the Mandarin family. It is a very cold hardy,slow-growing, and spreading tree with open dark green foliage. Tree is also considered thorn-less. Fruit is easy peeling and has few to no seeds and is actually considered a seedless fruit. SETO SATSUMA - Texas variety that is early to mid season ripening. Very easy to peel considered seedless with no thorns. EUREKA VARIEGATED PINK LEMON - This tree is smaller in size with small thorns. It has a very attractive variegation on both foliage and fruit. Fruit is medium in size with pink flesh. WASHINGTON NAVEL - Considered to be the original and still the best navel variety. Tree size is medium to large in size with a round top and has a drooping habit. The fruit is large, flavorful, considered seedless, and appears to hold well on the tree. The fruit is also known to section and peel easily. RED NAVEL - The tree size is considered to be small to medium. The fruit is known for its red flesh. The fruit is large, flavorful, considered seedless, and appears to hold well on the tree. The fruit is also known to section and peel easily. 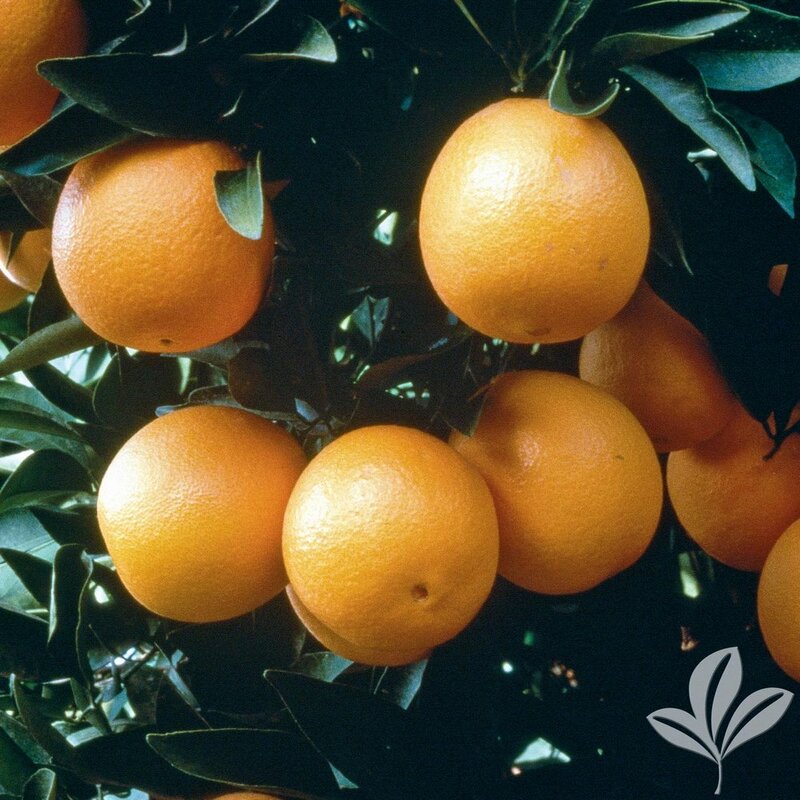 HAMLIN (LOUISIANA) SWEET ORANGE - This tree is considered to be medium to large in size, and usually produces a heavy annual crop. The sweet orange is also known to tolerate the cold. The fruit size is small to medium, usually seedless, and is also known to ripen early. The peel is very tender and is very juicy with low acidity. MORO BLOOD ORANGE - Tree appears to be medium in size with a round top. This blood orange tends to bear heavily but usually in alternate years. Fruit is normally borne in clusters in a very attractive setting appearing outside of the canopy. Fruit is medium in size, ripening very early with a distinct aroma. The flesh of the fruit is a violet to burgundy; rind orange with a pink blush, and is known to hold well on the tree. PERSIAN LIME - A medium spreading tree that bears fragrant blossoms and shiny fruit all year in cooler climates. Contains few thorns and is very cold tolerant. The fruit is medium to small in size and is very juicy. Usually is picked green and is yellow when mature; does not hold well on the tree. THORNLESS KEY LIME - This is a medium but twiggy tree with a dense top and small leaves. It is very frost sensitive with very small and juicy fruit. Also known as the "bartenders lime" due to its popularity to be mixed with so many types of alcohol. Usually picked when green and turns yellow when mature. KIEFFER LIME - This tree is medium in size and is known more for its foliage than its fruit. This unique two-staged leaf is very attractive and often used in thai cooking as an extra flavor of spice. 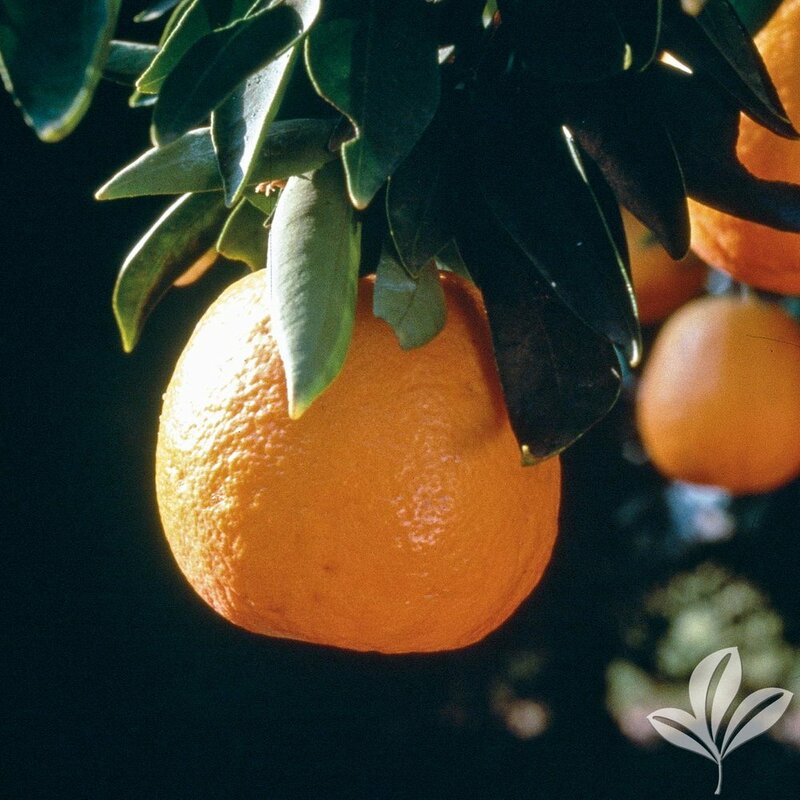 ORLANDO TANGELO - Tree is medium in size with distinctly cupped leaves. Known to be less vigorous and cold tolerant than most. Fruit is medium to large in size and very early ripening. Has an orange rind and flesh. 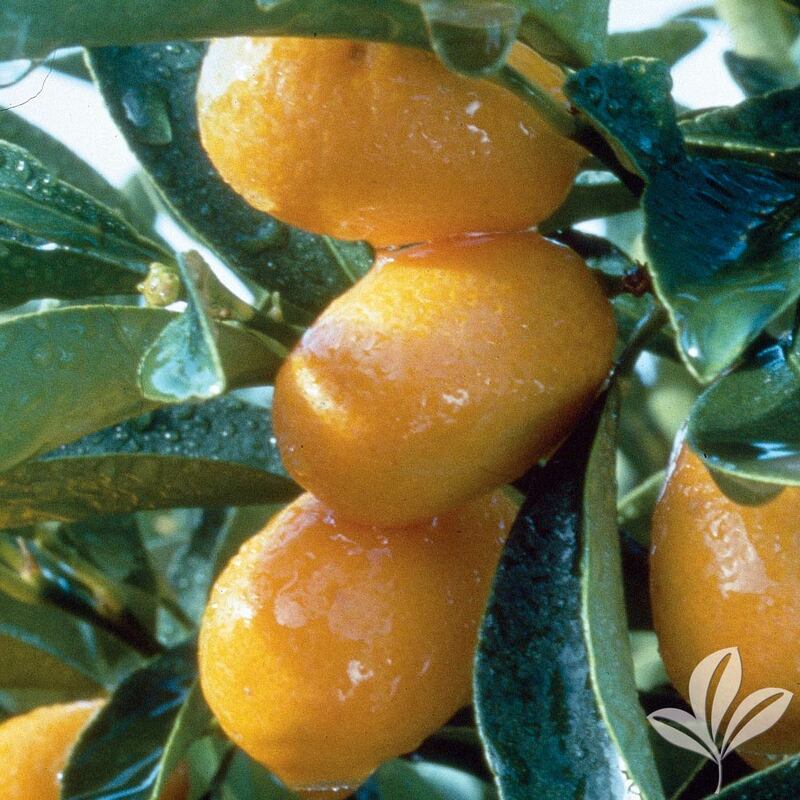 MEIW A SWEET KUMQUAT - The tree is small to medium in size with smaller leaves and is very tolerant to the cold. The fruit holds well on the tree, is small, and has a round shape; known to be very good to eat fresh off of the tree. NAGAMI TART KUMQUAT - A very cold tolerant tree with small dark green leaves and very fine branches. Fruit holds well on the tree with a smaller and more oval shape. This particular fruit is used primarily for canning. 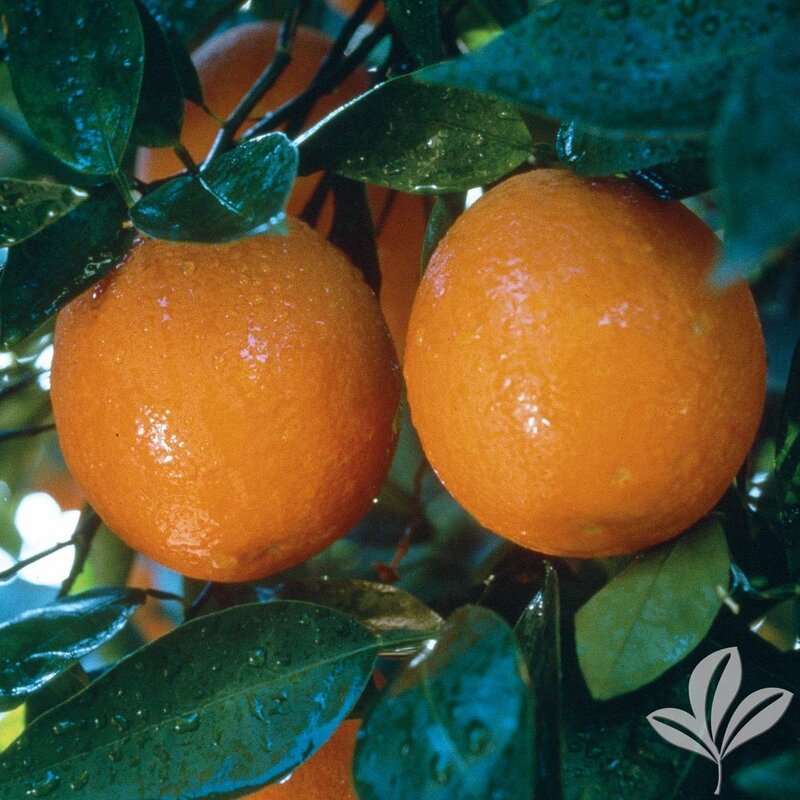 CALAMONDIN - The tree is small in size with fine branches, and oval leaves. Known to be very productive and cold tolerant. The fruit is very small, tender, and known to bear sour to most people. 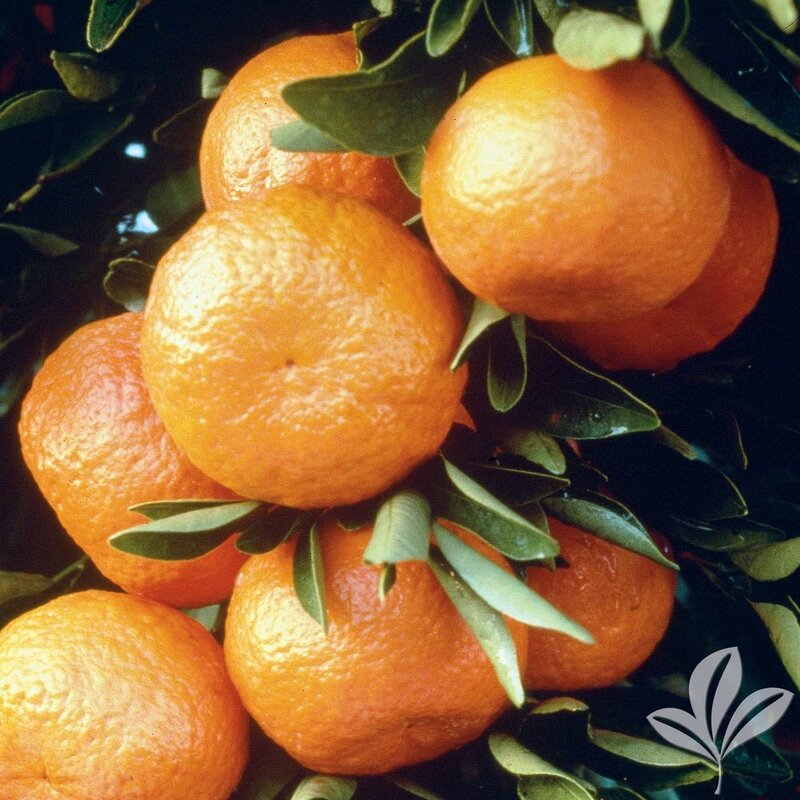 CLEMENTINE MANDARIN - The Clementine is small to medium in size with dense foliage that tends to form a weeping habit. This mandarin is red and orange in color, peels easily, and has few to many seeds. 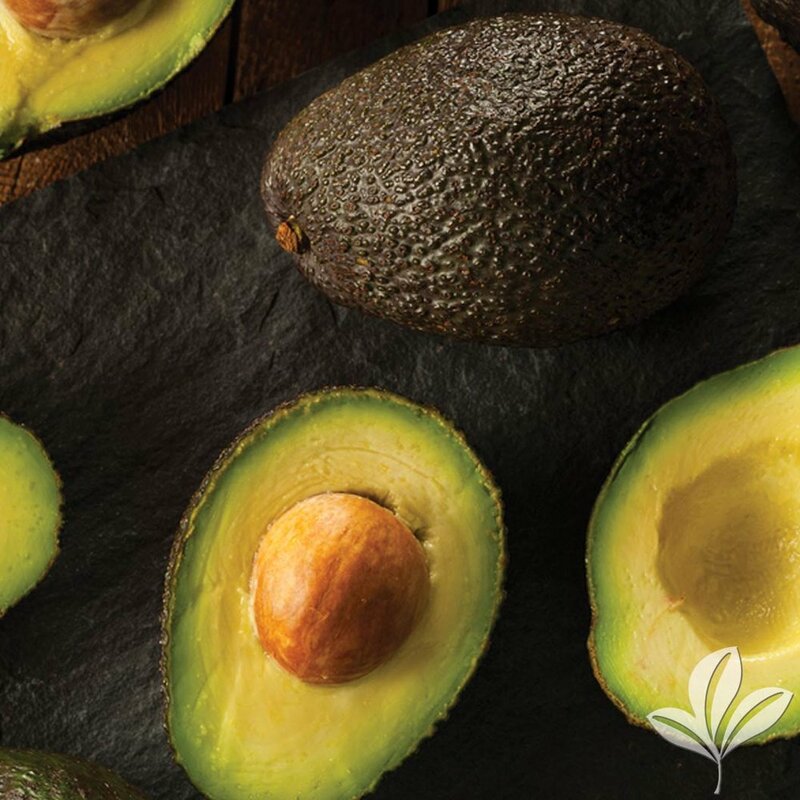 LILA AVOCADO - This fruit is green when ripened unlike the black/purple Hass. It is becoming more popular for being more cold tolerant. Fruit holds well on the tree. PAGE MANDARIN - A very attractive tree with dense foliage, also with a very round top. Tree is also known to be almost thorn less. The fruit is known to ripen early, and be small to medium in size. Fruit also holds well on the tree and has few to many seeds. SUNBURST TANGERINE - Tree size is considered to be medium to large. This is a very attractive fruit on the tree that bears heavily and is red in color. 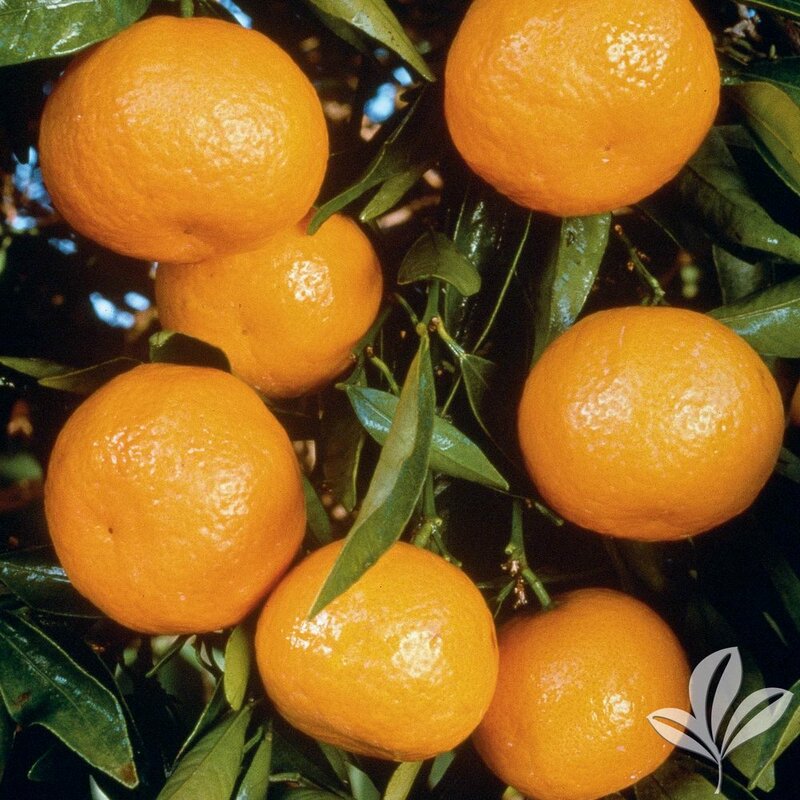 Has few to many seeds and is considered to be the superior in the Tangerine family. DANCY TANGERINE - Large in size with few thorns. Known to be cold tolerant which produces a fruit that is medium in size. The fruit peels and segment easily but is known to not hold well on the tree. Contains few to many seeds. RED GRAPEFRUIT - The tree is large in size and is known to be cold tolerant. The flesh and rind of the fruit has a crimson tinge. Also ripens midseason and holds well on the tree. WHITE PUMMELO GRAPEFRUIT - This tree is Medium to large in size bearing delicious fruit. The fruit is very juicy, seedless, and usually bears December to January. CHANDLER RED PUMMELO - The tree is very large in size bearing excellent quality fruit. This fruit is large and typically ripens around late December to January. Like the Ruby Red and Rio Red has a pinkish inside when peeled open. IMPROVED MEYER LEMON - Fruit is known to have thin skin and juicy. Also is considered to be mild and crossed with an orange explaining the trees rounded top. Perfect for pies and lemonade, and is very unique in that it will bear multiple crops per season. Tree is considered to be small to medium in size. 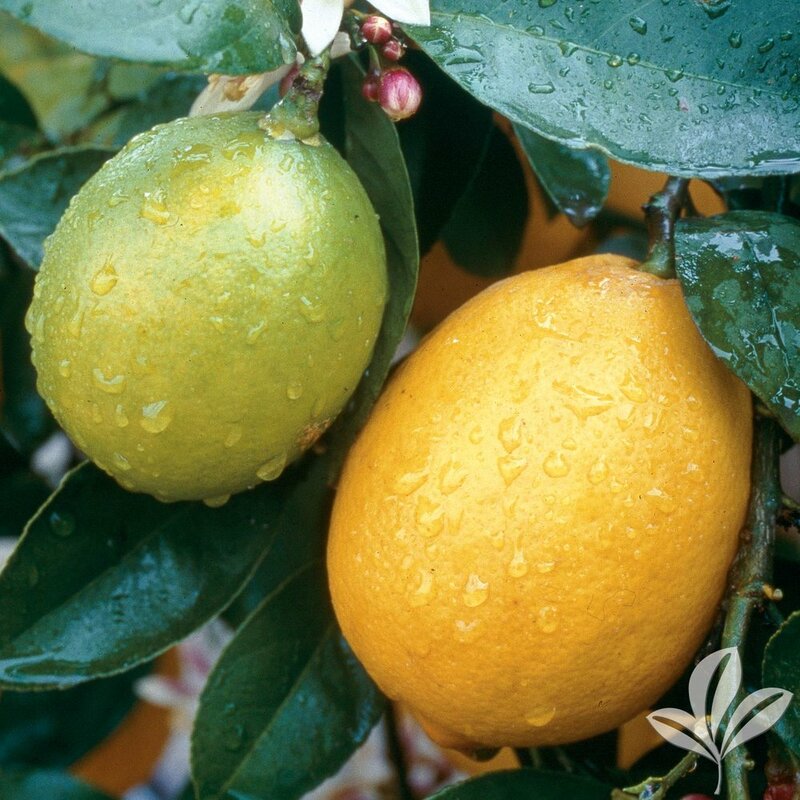 LISBON LEMON - The tree is large, thorny, and stands upright with dense foliage. The flowers and new growth when appearing tend to have a purple tint. Fruit is medium in size and best picked when ripened; also tends to over ripen quite easily. JOEY AVOCADO - This fruit is black/purple when ripened like the Hass. It is becoming more popular for being more cold tolerant. Fruit holds well on the tree. FANTASTIC AVOCADO - This fruit is green like the Lila when ripened unlike the black/purple Hass. It is becoming more popular for being more cold tolerant. Fruit holds well on the tree. PONKAN MANDARIN - Tree is considered to grow upright and is small to medium in size. The Mandarin has very attractive dark green leaves. The fruit is medium size and easy to peel. The fruit also has seeds but the flavor is excellent quality. ARBEQUINA OLIVE - A great all purpose tree not only for table olives, but also for olive oil. Tree can also be used for landscape purposes as it has very attractive foliage. This tree is very tolerant to cold, insects, and drought. A great choice! GOLD NUGGET LOQUAT - This tree can be large, vigorous, and tends to grow upright. The fruit is round, with deep orange skin and a yellow orange flesh. Also known to ripen late and have a sweet to tart flavor. CELESTE FIG - Tree is medium in size bearing fruit of excellent quality. The fruit has very thin delicate skin. It's most popular for fresh eating and cooking. BROWN TURKEY FIG - Tree size is medium and is similar to the Celeste but is more tolerant to cold weather. The fruit is of good quality. FUYU PERSIMMON - The most popular of all Persimmon. The tree is very beautiful with dark foliage. Thornless. Fruit is flat on blossom end. similar looking to a tomato. Very unique, non-astringent, and will not be bitter. When ripe it can be eaten crispy like you would an apple. TANE-NASHI PERSIMMON - The old standard. Tree stays more rounded and thornless. The fruit is more tear drop in shape. The fruit is astringent, so it must be ripe and soft before picking. More than likely this was the tree your grandparents had in their yard. 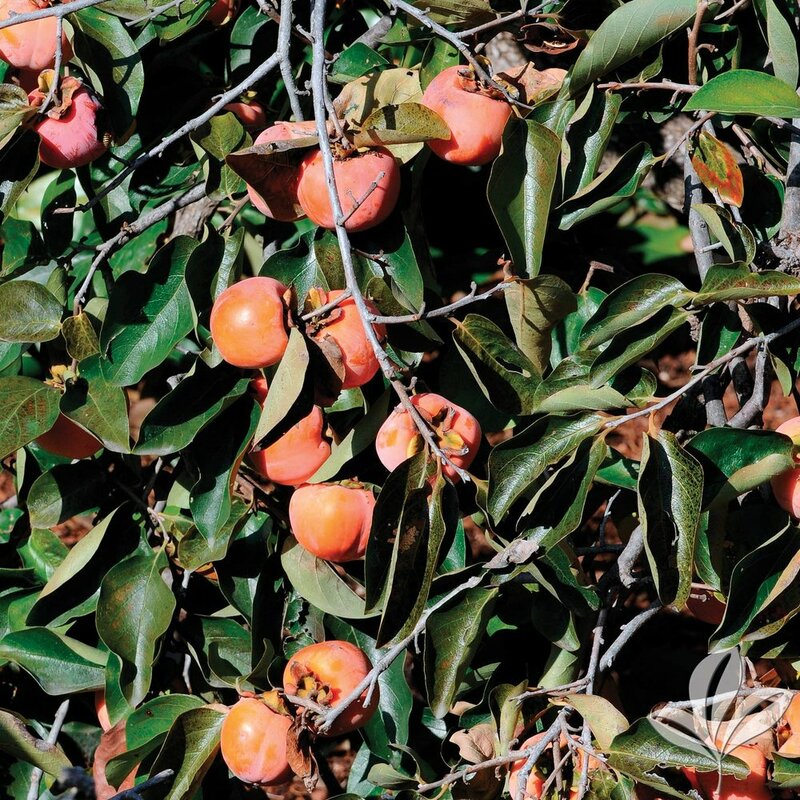 SURUGA PERSIMMON - Very attractive tree with dark green foliage and thornless. Fruit is smaller in size, and astringent. A delicious piece of fruit as it has a higher sugar content than other varieties. Some people like to eat as a frozen dessert. CHINESE CHESTNUT - Very attractive tree that can also be used as a shade tree. For avid deer hunters, this is the #1 food source for deer, with studies showing deer prefer the Chinese Chestnut 100:1 over the bitter acorn. This variety is blight resistant, and great for our areas. © 2017 Saxon Becnel & Sons. All Rights Reserved.